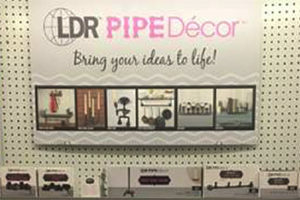 LDR Pipe Décor is one of the hottest new trends on Pinterest and social media. This innovative line of pipe fittings is specially made for a wide range of home projects. 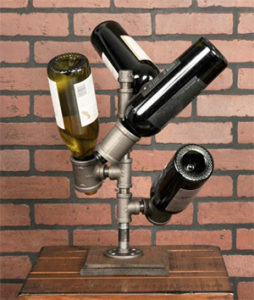 Consumers can build paper towel holders, coat hooks, wine racks and so much more. Unlike standard plumbing components, these fittings are oil-free and finished in black for a cool, cutting-edge look. We’ll have an assortment of 24 SKUs, including kits and individual units that allow your customers to create anything they dream up. Order the planogram at our spring show and save 25 percent! LDR Pipe Décor is available at New Arrivals Booth #433 or Plumbing Booth #4133. Register now for your Ace 2017 Spring Convention & Exhibits badge(s). The pre-registration deadline to get badges and event tickets in the mail is February 10.